The CWPC is ideal for parking areas, entrances, walkways, underpasses, loading docks, recreation areas, and tunnels. Heavy-duty die-cast aluminum construction with powder coated finish. Heat and impact resistant tempered glass lenses. One piece designed anodized aluminum reflector for optimum light efficiency. Silicon rubber seal prevents leakage. 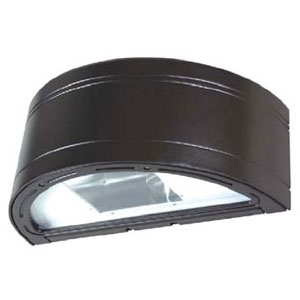 Available as downlight only or up and downlight. 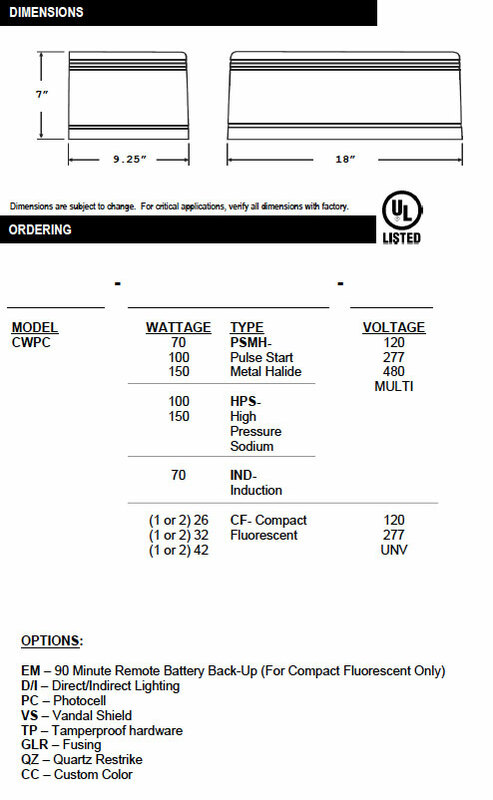 Lamping up to 150W PSMH,150W HPS and compact fluorescent up to 42W available. Heavy-duty die cast aluminum housing. Powder coated architectural bronze is standard. Customer colors are available upon request.